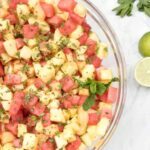 This Pineapple Melon Mint Salad is so refreshing, delicious, and is perfect for all those summer backyard get-togethers! Summer is in the air! Is there anything better than long, warm days, backyard BBQs, and eating dinner outside? 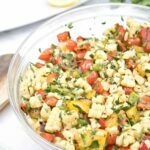 Just this Pineapple Melon Mint Salad! Summer for me as a kid didn’t start until my mom would buy big watermelons, slice off an end for me, and then send me outside with a spoon. I’d sit on our picnic table spooning out watermelon and spitting out the seeds. M’s not quite there yet, but girl looovveesss fresh fruit and being outside. She now insists on eating all of her meals outside which makes my heart so full and happy. One of her favorites, watermelon. 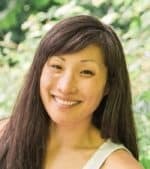 Lucky for her, this pregnancy has been filled with an inordinate amount of watermelon. Not only because Baby K #2 has been craving it, but my body hasn’t been as agreeable to as much citrus as I’d normally like to eat, which means it’s been mostly watermelon and cantaloupe in my daily fruit diet. 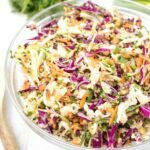 And because I’ve also been craving pineapple this pregnancy too, but unable to eat it as much as I’d like, this salad was born. Plus, who doesn’t love a big bowl of fresh? 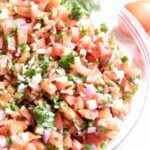 Add some mint and an easy honey lime mixture and it’s no longer just a big bowl of fruit, it’s a salad! 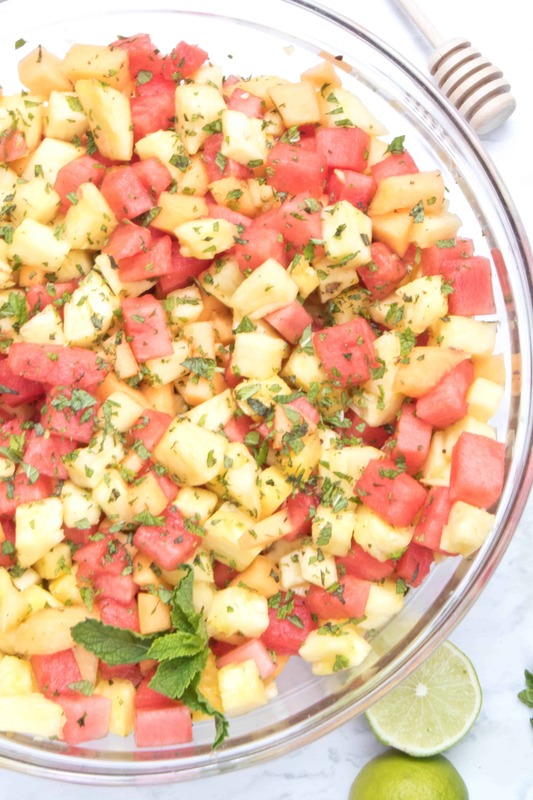 A Pineapple Melon Mint Salad, to be exact. Fast to make. Beyond refreshing. Summer in a bowl. Toddler approved and pretty to boot! 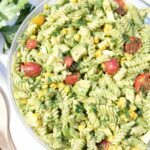 Now go fire up the grill and make some Grilled Parmesan Garlic Tomatoes, throw some Grilled Cilantro Lime Chicken on, and don’t forget the Avocado Corn Salsa. Whisk together honey and lime juice in a small bowl. Pour over fruit and mix well. Add mint, mix again, and then add pinch of salt and mix. Refrigerate and serve! 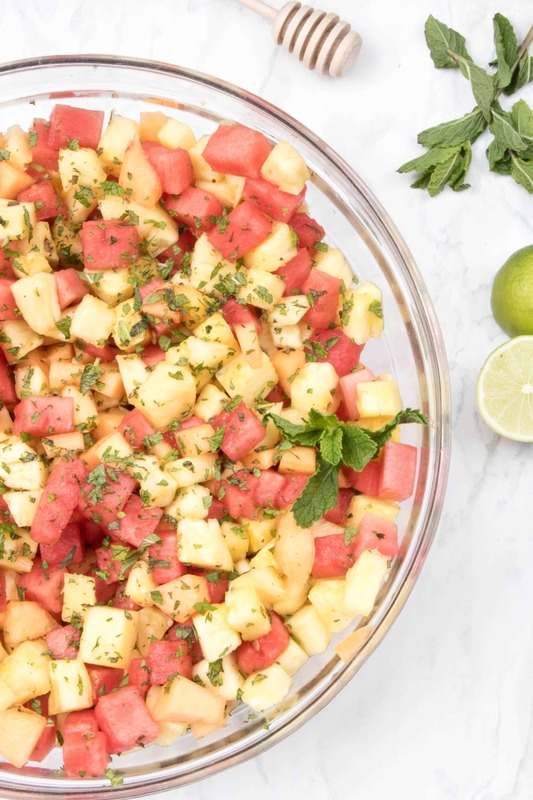 This looks so light and refreshing – perfect for summer! 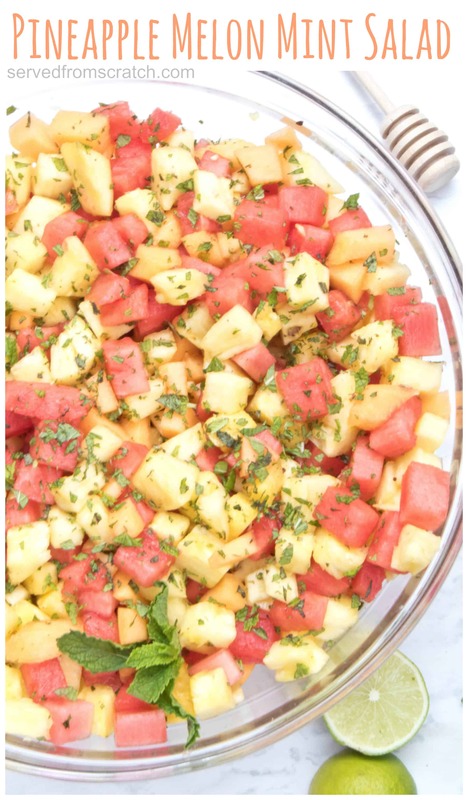 This is a gorgeous summer fruit salad! Looks so fresh and delicious! 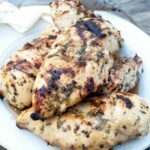 Perfect for summer cookouts! What a delicious summertime fruit salad! 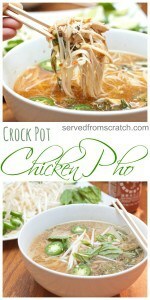 It looks so refreshing and easy to make too! These flavors totally sound like summer! 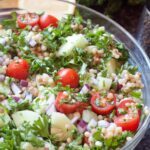 I need to make this salad before the weather gets chilly! yum! What a. great idea to combine mint with these fruits!